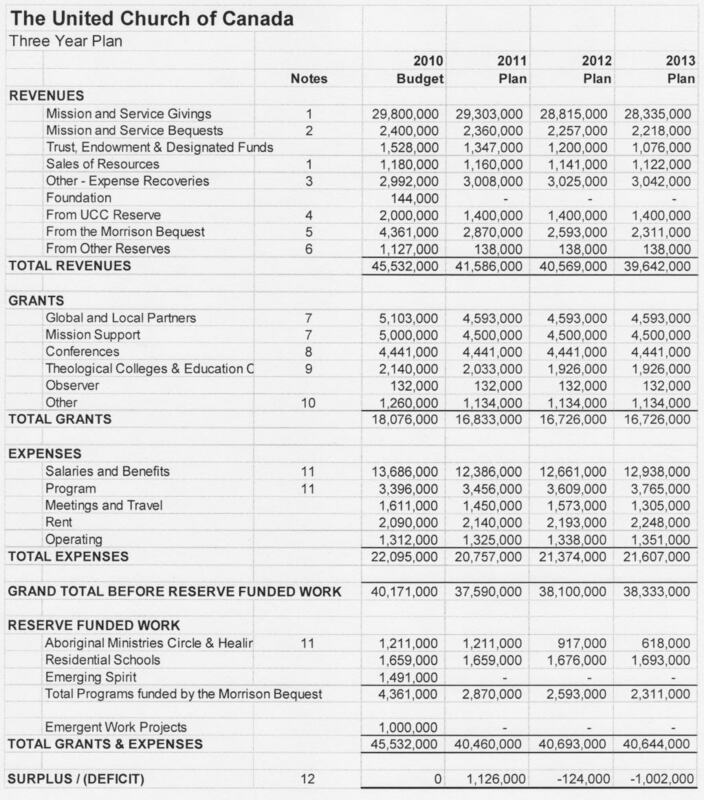 indicating 49.3% of the dollars were used for what had been identified as mission and service with the balance being administrative. 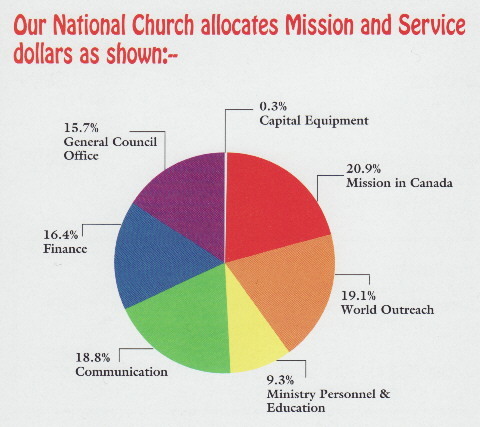 Mandate for the years 2001/2002 and 2002/2003 offered maps indicating where mission and service dollars were being used in Canada and globally though with discrepancies -- the 2001/2002 edition reported "Global Mission" expenses of $9949000 with only $4461531 dollars or 44.8% accounted for on the global map [pp. vi, iii respectively] and "Congregational Mission & Witness in Canada" expenses of $12607000 with only $5096614 dollars or 40.4% accounted for on the Canada map [pp. vi, iv-v respectively], for a total of $9558145 or 31.2% of the $30680000 mission and service fund contributions for the same period [if "Support for Ordered & Lay Ministry" is included $13627145 or 44.4% of $30680000 mission and service fund contributions for the same period].